I just got a query from my college, how can I backup my WordPress websites regularly, in automatic way? Well, managing multiple websites is a challenging task. I have multiple blogs (WordPress powered blogs) on different cloud servers. When it come to backup task, it can be frustrating because I have to deal with multiple databases, different cloud servers etc. Is there any solution that can do all those backup tasks in a centralized way? 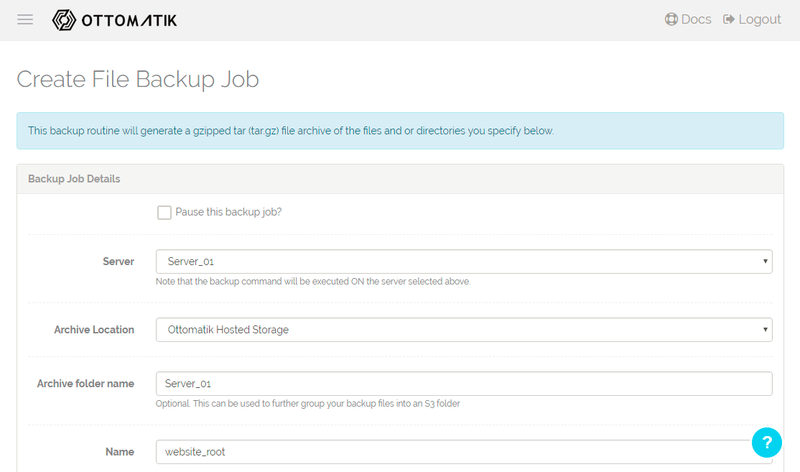 Fortunately, I found Ottomatik, a powerful web service that can be used to backup MySQL databases as well as file backup. Please note that I am not affiliate with Ottomatik and this is not a paid article. 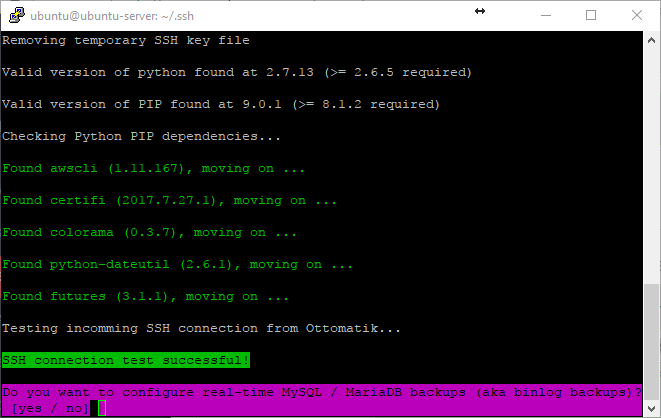 It’s my own experiences when testing Ottomatik service for my cloud servers. With this tool, I can backup multiple websites and MySQL databases automatically. You don’t have to install any software. Simply log in to the web dashboard. 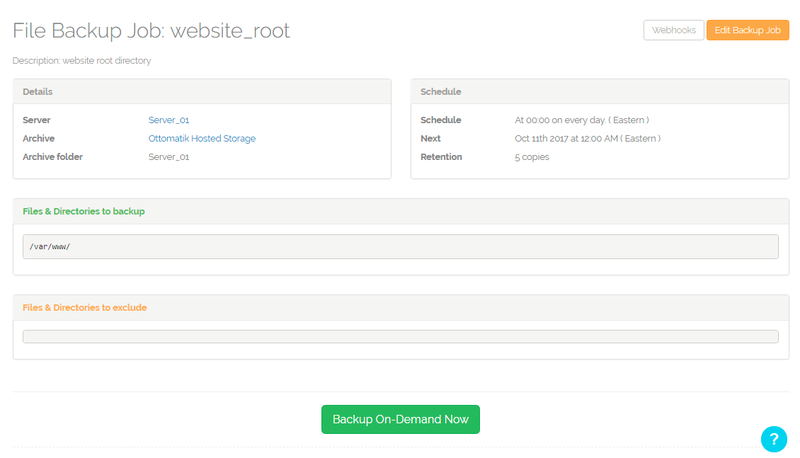 We can manage our backup via this web dashboard. 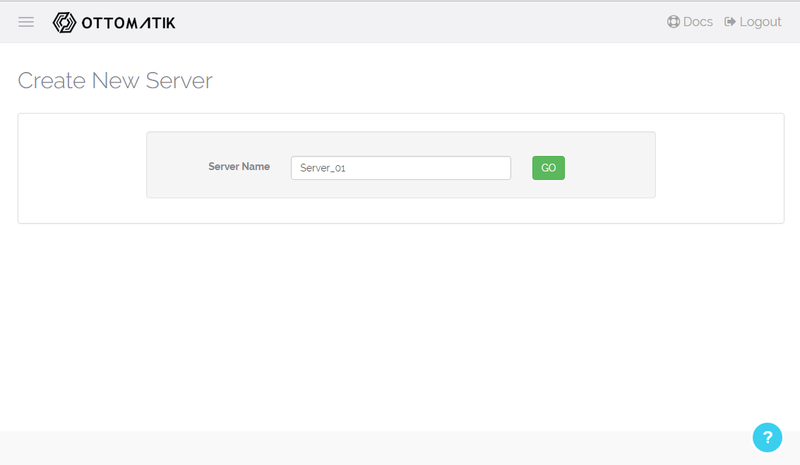 Ottomatik is designed for cloud servers or local server with public IP address. OK, let say you have many cloud servers (Linode, Amazon EC2, DigitalOcean etc), running many websites on each server. Also say you have multiple MySQL databases on each servers. If this is your case, when it comes to backup, it could be a pain in the asses. But with Ottomatik, backup is a child play. I am serious, ottomatik comes with a great solutions that will make your backup task a lot easier. Below, I will show you step by step to backup website and MySQL databases using Ottomatik. Meanwhile, you may want to register the trial version of Ottomatik. Once you have created free account, login to your account. We need to create a new server. We are going to connect our existing server to Ottomatik. Go to Servers and Click New Server. Give this new server a unique name for your reference. 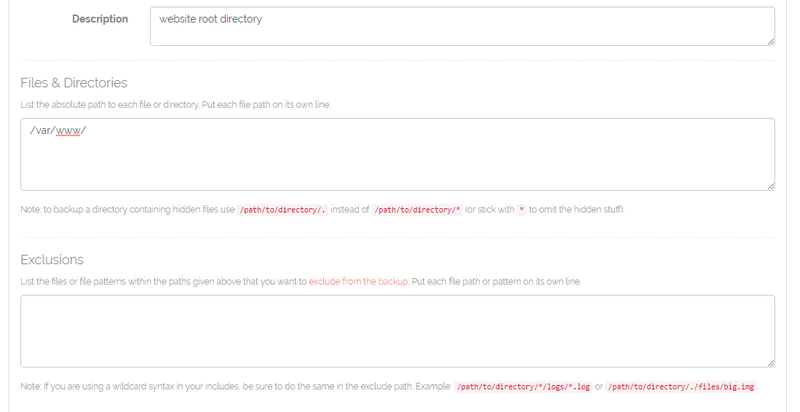 On the next page, you will need to copy the command and run it on your Linux Server. At this point we’re successfully added new server. 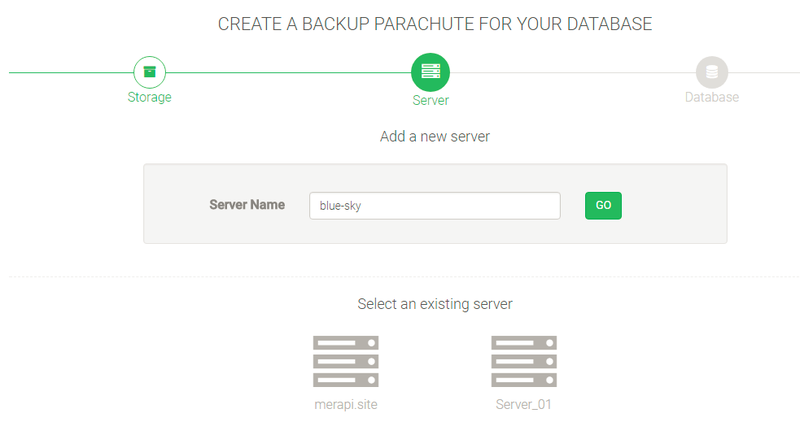 To create a MySQL backup job, go to Backups | Backup Parachutes. Click New Parachute. 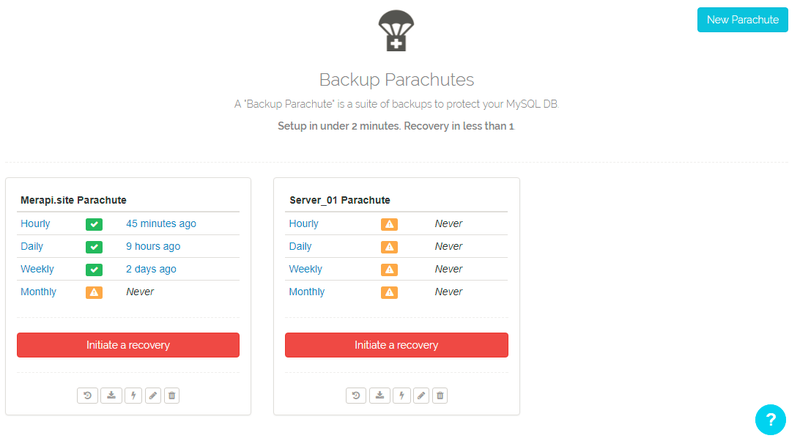 Parachute represent a suite to protect your MySQL databases. You will need to choose the storage. 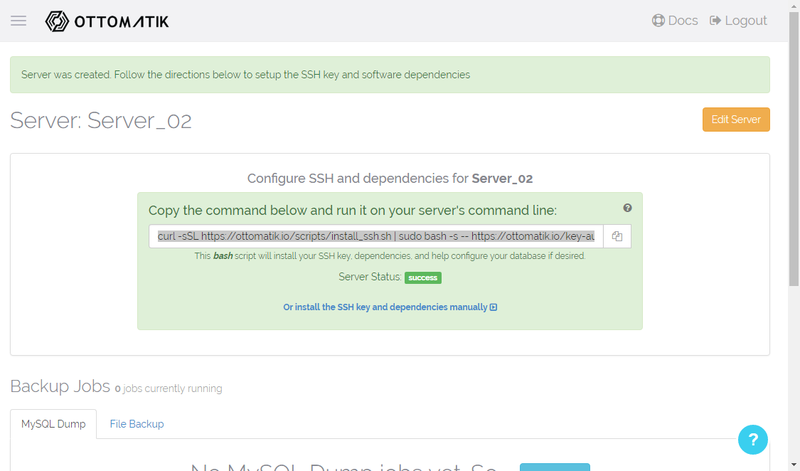 There are two options (Use Ottomatik hosted storage or Amazon S3). If you have Amazon S3 account, you can select this option. Give the backup a name and then select which server to backup. All your connected servers will be listed here. Next you will need to enter your MySQL credentials. Specify the backup interval as well. Click Complete Setup when you have supplied all information needed. Now you should see the new backup parachute listed. You can run the first backup immediately using the button below the backup parachute detail. On the previous step we’ve successfully created MySQL backup job. Now we can add another job, File Backup. If you are planning to backup multiple websites, you may want to backup all files inside your /var/www/ directory. Go to Backups | File Backups. Click create new file backup job. Click Create to finish. Now we can start run our first file backup. Click Backup on Demand Now to start the backup immediately. Managing multiple websites is challenging but with Ottomatik, my jobs now a lot easier. I can automate the entire backup process including backup MySQL databases and the website directories. The MySQL restore is very easy but to restore the files and directory, we need to download the file first and then copy to the server. I was expecting an easier way to restore the file backups. Thanks for reading this post. We hope this article is useful for you who wants to backup multiple websites automatically. Don’t forget to share this article if you think its useful.